The 2010–11 Premier League (known as the Barclays Premier League for sponsorship reasons) was the 19th season of the Premier League since its establishment in 1992. The 2010–11 fixtures were released on 17 June 2010 at 09:00 BST. The season began on 14 August 2010, and ended on 22 May 2011. Chelsea were the defending champions. Manchester United secured the title with a 1–1 draw away to Blackburn Rovers on 14 May 2011. This was their nineteenth English league title, breaking a tie with Liverpool which had stood since Manchester United won their eighteenth title in 2009. Manchester United, Chelsea, Manchester City and Arsenal all secured a berth for the 2011–12 UEFA Champions League, while Tottenham Hotspur qualified for the 2011–12 UEFA Europa League via league position. At the bottom, West Ham United, Blackpool, and Birmingham City were relegated to the Championship. The Premier League introduced a cap on the number of players in a squad. From this season onwards, clubs had to declare a squad of no more than 25 players when the summer transfer window shuts, and then again at the end of the January transfer window. Players aged 21 and under could be selected without being registered in the 25. Also being introduced this season was the "home grown players" rule, which aims to encourage the development of young footballers at Premier League clubs. The new rule required clubs to name at least eight players in their squad of 25 players that have been registered domestically for a minimum of three seasons prior to their 21st birthday. All of the Premier League teams submitted their 25-man squads on 1 September 2010 deadline. 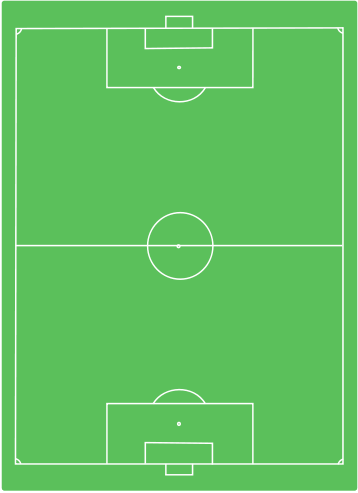 A total of twenty teams contested the league, including seventeen sides from the 2009–10 season and three promoted teams from the 2009–10 Football League Championship. Hull City, Burnley and Portsmouth were relegated from 2009–10 Premier League after finishing the season in the bottom three places of the league table. From the three teams relegated, Portsmouth had the longest tenure as a Premier League member as the club completed a seven-year stay at the highest level of English football. In comparison, Hull City and Burnley had to return to the Championship after two and one years respectively. 2009–10 Football League Championship champions Newcastle United and runners-up West Bromwich Albion secured direct promotion to the Premier League. Both teams made their immediate return to the Premier League after being relegated at the end of the 2008–09 season. Blackpool beat Cardiff City 3–2 in the Championship play-off Final to join them after 39 years of absence from the top flight. It was the first time since 1983–84 that all four major West Midlands clubs—Birmingham City, West Bromwich Albion, Aston Villa and Wolverhampton Wanderers—had been in the top division at the same time. It was also the first time that the Black Country derby was contested in the Premier League. With Portsmouth and Hull relegated and no teams from their respective regions replacing them, only four of the nine regions of England were represented in the 2010–11 Premier League – the fewest number of regions represented in a national football division in modern times. Yorkshire and the Humber, the East Midlands, East, South East and South West are all unrepresented. Nike produced a new match ball, the Nike Total 90 Tracer, which was electric blue, black and white during the autumn and spring. A high-visibility version in yellow was released for the winter. Additionally, Umbro provided officials with new kits in black, lime green, yellow, red and cyan blue for the season. Tune Ventures, parent company of Air Asia, took over as sponsor of the referee kits for the next three seasons. The PFA Player of the Year was awarded to Gareth Bale. The FWA Footballer of the Year was awarded to Scott Parker. The PFA Young Player of the Year was awarded to Jack Wilshere. The PFA Fans' Player of the Year was awarded to Raul Meireles. The Barclays Player of the Season award was won by Nemanja Vidić of Manchester United. Manchester United manager Sir Alex Ferguson, 69, received the FA Premier League Manager of the Year Award. The Barclays Golden Glove award was won by Joe Hart of Manchester City. Dimitar Berbatov of Manchester United and Carlos Tevez of Manchester City shared the Barclays Golden Boot this season, both finishing with 20 goals. Berbatov's 20 goals came in 32 appearances, with Tevez's 20 goals coming in 31 appearances. This was the first time either player had won the award, and the first time it had been shared since the 1998–99 season. The Fair Play Award was won by Chelsea, who finished on top of the Fair Play Table. Newcastle United were deemed to be the least sporting team, finishing bottom of the table. Due to England being one of the three best teams in the UEFA Fair Play rankings, Fulham as the highest-ranked team not already qualified for a European competition were awarded a spot in the first qualifying round of the 2011–12 UEFA Europa League. 1 2 3 4 5 6 7 8 9 10 11 12 13 14 15 16 17 "Barclays Premier League Stats – 2010–11". ESPN Soccernet. ESPN. Retrieved 19 April 2011. ↑ "How the fixtures are produced". premierleague.com. Premier League. 9 June 2010. Retrieved 9 June 2010. ↑ "Start date confirmed for new season". premierleague.com. Premier League. 22 December 2009. Archived from the original on 7 May 2010. Retrieved 12 April 2010. ↑ Norrish, Mike (9 May 2010). "Chelsea win Premier League after thrashing Wigan". The Telegraph. London: Telegraph Media Group. Retrieved 14 December 2010. ↑ Stevenson, Jonathan (14 May 2011). "Live – Saturday football". BBC. Retrieved 14 May 2011. ↑ "Rooney spot on as United clinch 19th title". ESPN Soccernet. 14 May 2011. Retrieved 16 May 2011. ↑ Nurse, Howard (14 May 2011). "Blackburn 1 – 1 Man Utd". BBC News. Archived from the original on 14 May 2011. Retrieved 14 May 2011. ↑ "Pavlyuchenko relegates Birmingham". ESPN Soccernet. 22 May 2011. Retrieved 24 May 2011. ↑ "Blackpool down after thriller". ESPN Soccernet. 22 May 2011. Retrieved 24 May 2011. ↑ "Hammers relegated as Wigan fight on". ESPN Soccernet. 15 May 2011. Retrieved 24 May 2011. ↑ "Home-grown quota for Premier League". premierleague.com. Premier League. 15 September 2009. Retrieved 22 May 2010. ↑ "Premier League clubs submit squad lists". Premierleague.com. 1 September 2010. Archived from the original on 3 September 2010. Retrieved 1 September 2010. ↑ Longmore, Andrew (23 May 2010). "Blackpool reach promised land". The Times. London: Times Newspapers. Archived from the original on 29 May 2010. Retrieved 24 May 2010. ↑ "Archived copy" (PDF). Archived from the original (PDF) on 14 December 2010. Retrieved 2010-09-07. ↑ "West Ham sack manager Gianfranco Zola". BBC Sport. British Broadcasting Corporation. 11 May 2010. Archived from the original on 14 May 2010. Retrieved 11 May 2010. ↑ "Avram Grant confirmed as West Ham boss". BBC Sport. British Broadcasting Corporation. 3 June 2010. Archived from the original on 12 January 2016. Retrieved 3 June 2010. ↑ "Rafa Benitez leaves Liverpool". BBC Sport. British Broadcasting Corporation. 3 June 2010. Archived from the original on 14 March 2012. Retrieved 3 June 2010. 1 2 "Roy Hodgson leaves Fulham to become Liverpool manager". BBC Sport. British Broadcasting Corporation. 1 July 2010. Archived from the original on 12 January 2016. Retrieved 1 July 2010. ↑ "Mark Hughes named new manager of Premier League Fulham". BBC Sport. British Broadcasting Corporation. 29 July 2010. Archived from the original on 2 August 2010. Retrieved 5 August 2010. ↑ "Martin O'Neill resigns as Aston Villa boss". BBC Sport. British Broadcasting Corporation. 9 August 2010. Archived from the original on 12 January 2016. Retrieved 9 August 2010. ↑ "Gerard Houllier still to sign Aston Villa deal boss". BBC Sport. British Broadcasting Corporation. 8 September 2010. Archived from the original on 24 September 2010. Retrieved 28 September 2010. ↑ "Chris Hughton sacked by Newcastle". BBC Sport. British Broadcasting Corporation. 6 December 2010. Archived from the original on 12 January 2016. Retrieved 6 December 2010. ↑ "Alan Pardew signs lengthy deal as new Newcastle manager". BBC Sport. British Broadcasting Corporation. 9 December 2010. Archived from the original on 12 January 2016. Retrieved 9 December 2010. ↑ "Blackburn Rovers sack Sam Allardyce". BBC Sport. British Broadcasting Corporation. 13 December 2010. Archived from the original on 12 January 2016. Retrieved 13 December 2010. ↑ "Kean's for the season". Blackburn Rovers F.C. Blackburn Rovers F.C. 22 December 2010. Archived from the original on 31 December 2010. Retrieved 22 December 2010. 1 2 "Roy Hodgson exits Liverpool & Kenny Dalglish takes over". BBC Sport. British Broadcasting Corporation. 8 January 2011. Archived from the original on 12 January 2016. Retrieved 8 January 2011. ↑ "West Brom part company with manager Di Matteo". BBC Sport. British Broadcasting Corporation. 6 February 2011. Archived from the original on 8 March 2012. Retrieved 6 February 2011. ↑ "Roy Hodgson named new manager of West Brom". BBC Sport. British Broadcasting Corporation. 11 February 2011. Archived from the original on 10 February 2011. Retrieved 11 February 2011. ↑ "West Ham sack manager Avram Grant". BBC Sport. British Broadcasting Corporation. 15 May 2011. Archived from the original on 16 May 2011. Retrieved 15 May 2011. ↑ "Sam Allardyce appointed West Ham United manager". BBC Sport. British Broadcasting Corporation. 1 June 2011. Archived from the original on 1 June 2011. Retrieved 1 June 2011. ↑ "Liverpool takeover completed by US company NESV". BBC Sport. British Broadcasting Corporation. 15 October 2010. Archived from the original on 12 January 2016. Retrieved 15 October 2010. ↑ "Rao family buy Blackburn Rovers from Jack Walker Trust". BBC Sport. British Broadcasting Corporation. 19 November 2010. Archived from the original on 5 March 2012. Retrieved 19 November 2010. ↑ "Fulham handed Europa League place". official website. Premier League. May 2011. Retrieved 26 May 2011. ↑ Lyon, Sam (14 August 2010). "Live – Saturday football". BBC Sport. British Broadcasting Corporation. Archived from the original on 12 January 2016. Retrieved 14 August 2010. ↑ OptaJoe (9 May 2011). "0:30". Twitter. Retrieved 10 May 2011. ↑ "Barclays Premier League Top Scorers". BBC Sport. 29 March 2011. Retrieved 22 May 2011. 1 2 3 4 5 6 7 "Barclays Premier League Statistics". premierleague.com. Premier League. Archived from the original on 30 December 2010. Retrieved 17 April 2010. ↑ "Gongs for Ancelotti & Scholes". Sky Sports. 10 September 2010. Archived from the original on 11 September 2010. Retrieved 10 September 2010. ↑ "Baggies scoop historic Barclays awards double". The Premier League. 1 October 2010. Archived from the original on 3 October 2010. Retrieved 1 October 2010. ↑ "Moyes & Van der Vaart win Premier League awards". BBC Sport. 8 November 2010. Archived from the original on 12 January 2016. Retrieved 8 November 2010. ↑ "Bolton duo scoop Barclays awards". The Premier League. 3 December 2010. Retrieved 3 December 2010. ↑ "Nasri and Mancini receive Barclays awards". The Premier League. 7 January 2011. Retrieved 7 January 2011. ↑ "United duo scoop Barclays awards". The Premier League. 4 February 2011. Retrieved 4 February 2011. ↑ "Wenger & Parker win awards". Sky Sports. 4 March 2011. Retrieved 4 March 2011. ↑ "Top prizes for Blues pair". Sky Sports. 1 April 2011. Retrieved 1 April 2011. ↑ "Ancelotti seals successive Barclays awards". The Premier League. 6 May 2011. Retrieved 6 May 2011. ↑ "Odemwingie scoops Barclays award". The Premier League. 6 May 2011. Retrieved 6 May 2011. ↑ "Parker takes prestigious prize". ESPNsoccernet. 22 April 2011. Retrieved 6 May 2011. ↑ "Arsenal's Jack Wilshere wins PFA Young Player of the Year award". Goal.com. 17 April 2011. Retrieved 6 May 2011. ↑ "Meireles named Fans' Player of the Year". ESPNsoccernet. 21 April 2011. Retrieved 6 May 2011. ↑ "Top two dominate PFA Team of the Year". ESPNsoccernet. 18 April 2011. Retrieved 6 May 2011. 1 2 "United duo clinch Barclays awards". premierleague.com. Premier League. 20 May 2011. Retrieved 20 May 2011. ↑ "Hart handed Barclays Golden Glove". premierleague.com. Premier League. 20 May 2011. Retrieved 20 May 2011. ↑ "Berbatov and Tevez share Golden Boot". premierleague.com. Premier League. 28 May 2011. Retrieved 28 May 2011. ↑ "Barclays Premier League Fair Play Table". premierleague.com. Premier League. Retrieved 26 May 2011. ↑ "Fulham handed Europa League place". official website. Premier League. Retrieved 26 May 2011.